Matheson Optometrists is a family company, with family values, providing up-to-date eye-care services in modern air-conditioned practices. Our current vacancies are listed below, and we would be pleased to hear from anyone interested in applying for any of these. We are always looking for enthusiastic and competant staff to join our team, so are keen to meet any keen optometrist, dispensing optician or optical assistant, now or at a future date to discuss employment prospects within our group. This would be in complete confidence. Matheson Optometrists are always looking for Optometrists who share our ideals. Although clinical excellence is of paramount importance in optometry, commercial awareness is also necessary. Hence our company motto:- Comprehensive Eyecare, Competitive Prices, ie a fair price for an excellent job well done. We find that one of the best ways to obtain good optometrists is to help with their training in that difficult year following graduation. Andrew Matheson, our director, a therapeutically qualified optometrist, has assisted about 20 graduate optometrists by supervising them through their pre-registration year. 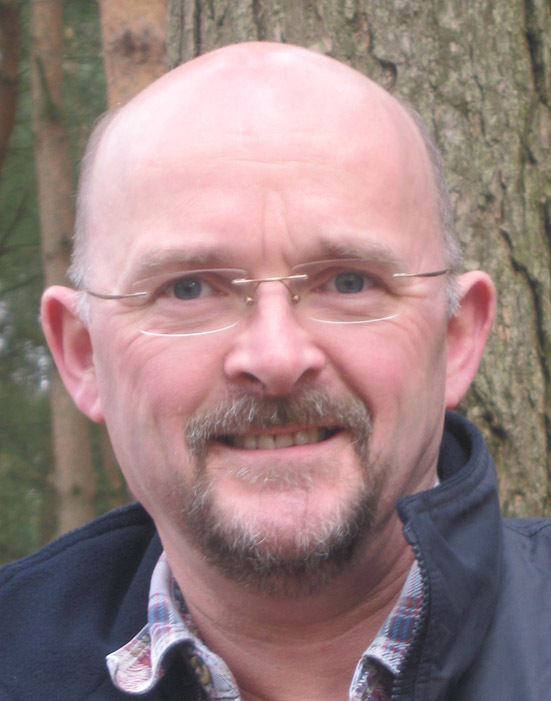 Andrew has trained extensively on both sides of the Atlantic and firmly believes in CPD for optometrists. Your pre-registration training is very important to us, as it provides the foundations to build your professional expertise in the future. It will be hard work but should be stimulating for both the student optometrist and his or her supervisor. 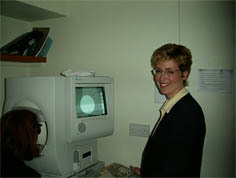 Our practices have close links with nearby eye hospitals, participating in both the local Community Glaucoma Co-management Scheme and the Glaucoma Referral Refinement Scheme. We provide services to local ophthalmologists such as OCT scans, Visual Fields follow-ups, Retinal Photography and Dry Eye Management. Our Pre-registration package includes a starting salary of £17,000, paid for Hospital experience, Exam Fees and refresher course fees. Our pre-registration rooms are highly equiped all having high quality slit lamps often with image capture, retinal photography, use of an OCT, etc. If you feel that you would like to join our team in Hampshire for the long rather than the short haul, and feel that you have that extra flair and drive, why not start the ball rolling by applying for a pre-registration position within our group? Do you care about the patients behind the sales figures? Are you nevertheless commercially aware? Do you want a satisfying job where your voice matters? Do you want a job that can develop as you do? Whether you are newly qualified, but wanting to grow at your own pace into a fulfilling post with the support of experienced collegues, or…. An experienced practitioner wanting a fulfilling career where you voice matters, or…. Our practices are equiped to the highest standard, having high resolution Digital Retinal and Slit-lamp Photography Systems, Humphrey Visual Field Analysers, Pachymeters, Indirect Head-sets etc. 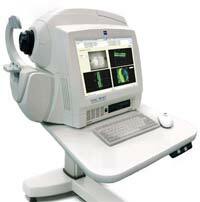 This enables us to participate in various co-managed care sevices with Ophthalmologists. 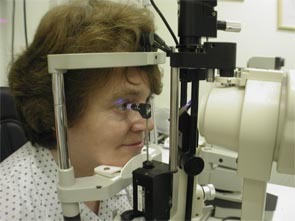 We provide glaucoma and Ocular Therapeutics Care through patients private medical insurance in many cases. This does not mean that all optometrists in the group are expected to provide these services. We each have our specialisations and we believe in sharing these skills with each other. If you feel that you would like to practice with the ideals with which you were trained, and would like to further develop your skills in the future, then our group can be the answer. Our group is big enough to offer security and professional development but small enough to allow you to play a significant role in it's evolution as a prestige primary health-care provider in the area. We offer a top salary package, which can be tailored to individual needs, be it full-time, part-time or locum. We participate in the supervision of Pre-registration Optometrists, both from the British universities and the French university of Paris-Sud. We also have connections with optometry in the States to ensure that we remain at the forefront of optometric development. We are always looking for Dispensing Opticians, either experienced or recently qualified, who want to provide the best service to the patient and who want to be part of a team doing so. We are always looking for Optical Assistants, either experienced or not, who want to provide the best service to the patient and who want to be part of a team doing so. The job of Optical Assistant has evolved greatly from the traditional "Opticians Receptionist" of the past. Although a significant part of the job still concerns the day to day administration of the appointment making, filing, typing etc, the modern optical assistant has a much more fulfilling role. 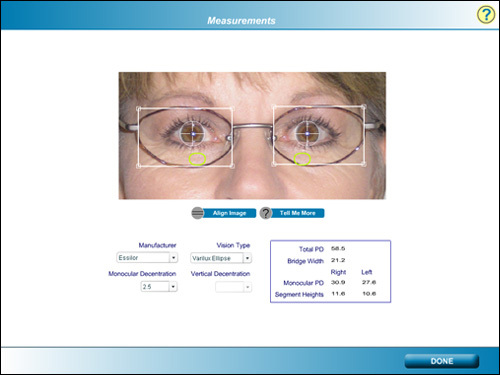 All optical assistants, after a period of training, are involved to varying degrees with minor frame repairs, assisting patients choose frames and basic clinical testing. The majority of our optical assistants go on to do further in house training in one or more of our in house training modules. We have 7 In-house training modules in the fields of Clinical Assistant, Dispensing Assistant and Technical Assistant. This training is in a one-to-one basis, and when an adequate level of competence has been reached, an assessment exam is taken. If successful, the assistant is awarded a certificate and an incremental pay increase to reflect their advancing competence levels. Full and adequate training in all aspects is given. 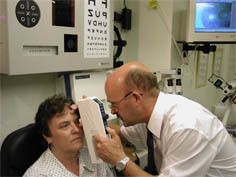 Clinical testing can include such things as Humphrey Visual Field testing, various forms of Non-Contact Tonometry, Contrast Sensitivity testing, blood pressure measurement etc. Although we employ several dispensing opticians, some less complicated dispensing tasks can be safely carried out by suitably trained optical assistant staff. This improves rather than detracts from the service given to the patient, as it means that we have more staff members who can assist them. It means that our staff are more informed and able to help our patients more of the time which minimises delays to the patient. All staff practice at the level of their own competence, always handing onto a more qualified member of staff if needed. All our practices has advanced computer controlled spectacle manufacturing laboratories. Because of the advanced equipement we use it is relatively straight-forward to be taught how to grind optical lenses to fit accurately into spectacle frames.